People just love protons. On the other hand side: If they talk about electrons, they always tend to emphasize the negative aspects. Though there are some advantages being an electron, too. As scientists at the KU’s Ultrafast Laser Lab at the University of Kansas have shown: Electrons don’t need to shlep through matter, they use short cuts. But let’s begin with the setup of KU’s fascinating experiment, because that is brilliant in itself. Frank Ceballos, Ming-Gang Ju, Samuel D. Lane, Xiao Cheng Zeng and Hui Zhao used a new type of material called “van der Waals material”. In their case this means they made three different layers of single-molecule layers that glued themselves together automatically. Van der Waals forces are those relatively weak forces between molecules that arise from quantum interactions with the zero-point field. But by „relatively weak“ we mean forces that can make Spiderman climb skyscrapers. As the DARPA demonstrated in 2014 when a 100 kg researcher climbed a glass wall by using only two paddles of „geckskin“ – a material inspired by geckos. Back in Kansas all three layers were thinner than one nanometer and made of semiconductor materials like MoS2, WS2 and MoSe2. These are called „two-dimensional“ because they’re onyl one molecule thick. Well, almost – don’t be too picky here! Using three different layers ensured that each one reacted to light within a specific wavelength or, simply put, a different color. The KU researchers then opened their weapon chamber, dressed up and used their laser pulse canon for a 100 femtosecond duration to knock out some electrons out of the top layer. You’re free now! A second pulse – activating a different color in the layer sandwich – was used to examine whether these newly liberated electrons from the top level ever arrived down below. And thus they did about one picosecond later. Common sense now dictates that those cheeky quantum objects at some point in their travel have to show up in the middle layer. Right? If you’re in an elevator in an average building and want to go from the first floor to the third, chances are high that at some point you have to pass the second floor – if you want to or not. A third laser pulse monitored the middle layer and never detected the slightest hint of any electron ever dropping by. They simply „jumped“ from first layer to the third one! Just because… they could. That’s like us human beings using an elevator in a hotel from the 12th to the 14th floor never passing the 13th!! That’s a clever setup to proof that electrons use their quantum superpowers in those hip van der Waals materials just like they do in traditional conductors or semiconductors. The experiment was published on 17th of February in the Nano Letters of the American Chemical Society and was already repeated successfully by a second team. You can find the paper here. Well, let’s not start to explain how important it is to explore the basic principles of quantum physics. Let’s instead say: What about superfast and cheaper new LED TV screens with a reaction time of one picosecond? Does that sound good, consumer? 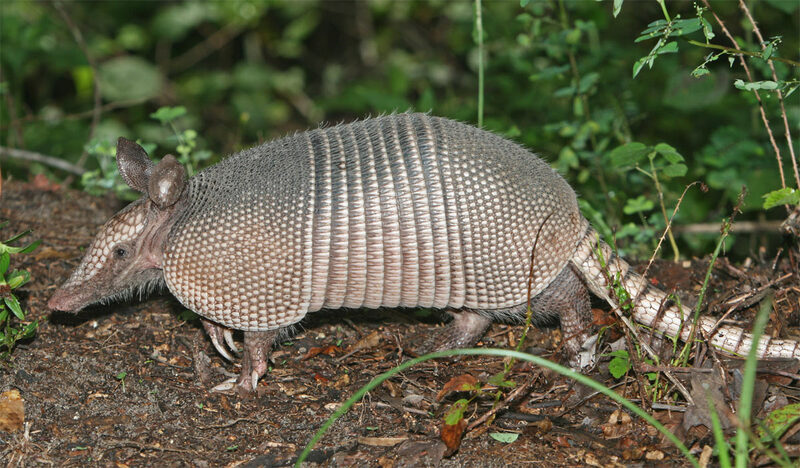 And, by the way: There are no armadillos in the Antarctis.